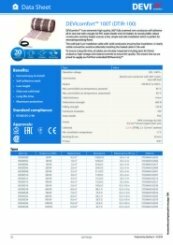 2.5sqm 100watt per sqm heating mat for timber floors 0.5m wide and 5m long. 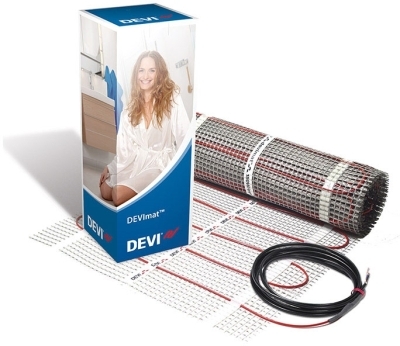 DEVIcomfort for Timber Floors is a thin heating mat specifically designed to be installed within a tile adhesive layer. It evenly warms the floor surface eliminating the cold chill associated with hard floor surfaces. It is ideal for tiles on a timber floor or parquet on concrete, and can be installed beneath other surfaces such as laminated floors and vinyl. DEVIcomfort is a prefabricated, self adhesive mat with a thin heating cable ready mounted, all within 4mm thickness. It is an open mesh design allowing the tile adhesive to bond to an existing floor. Thank you for taking the time to write such great feedback, we appreciate your comments.